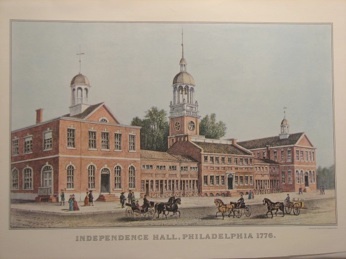 On the 2nd of August 1776 the members of the 2nd Continental Congress began to sign the engrossed (fancy calligraphy) copy of the Declaration of Independence. 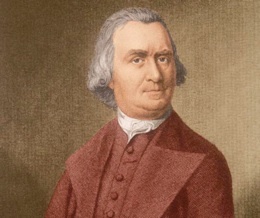 The day before on August the 1st 1776 Samuel Adams gave the following speech from the steps of the Pennsylvania State House, today known as Independence Hall. 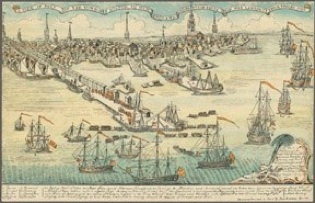 The end of the speech mentions the loss of Warren and Montgomery, these were early leaders of the Revolution who had fallen in the battles of Bunker Hill (Breed’s Hill) and the Attack on Quebec respectively. Our forefathers threw off the yoke of popery in religion: for you is reserved the honor of levelling the popery of politics. They opened the Bible to all, and maintained the capacity of every man to judge for himself in religion. Are we sufficient for the comprehension of the sublimest spiritual truths, and unequal to material and temporal ones? Heaven hath trusted us with the management of things for eternity, and man denies us ability to judge of the present, or to know from our feelings the experience that will make us happy. "You can discern," say they, "objects distant and remote, but cannot perceive those within your grasp. Let us have the distribution of present goods, and cut out and manage as you please the interests of futurity." This day, I trust the reign of political protestantism will commence. We have explored the temple of royalty, and found that the idol we have bowed down to, has eyes which see not, ears that hear not our prayers, and a heart like the nether millstone. We have this day restored the Sovereign, to whom alone men ought to be obedient. He reigns in Heaven, and with a propitious eye beholds his subjects assuming that freedom of thought, and dignity of self-direction which He bestowed on them. From the rising to the setting sun, may His kingdom come. Were the talents and virtues, which Heaven has bestowed on men, given merely to make then more obedient drudges, to be sacrificed to the follies and ambition of a few? or, were not the noble gifts so equally dispensed with a divine purpose and law, that they should as nearly as possible be equally exerted, and the blessings of Providence be equally enjoyed by all? Away then, with those absurd systems, which, to gratify the pride of a few, debase the greatest part of our species below the order of men. What an affront to the King of the universe, to maintain that the happiness of a monster, sunk in debauchery and spreading desolation and murder among men, of a Caligula, a Nero, or a Charles, is more precious in his sight than that of millions of his suppliant creatures, who do justice, love mercy, and walk humbly with their God! No! in the judgment of Heaven there is no other superiority among men, than a superiority in wisdom and virtue. And can we have a safer model in forming ours? The Deity then has not given any order or family of men authority over others, and if any men have given it, they only could give it for themselves. Our forefathers, 'tis said, consented to be subject to the laws of Great Britain. I will not, at present, dispute it, nor mark out the limits and conditions of their submission: but will it be denied that they contracted to pay obedience, and to be under the control of Great Britain, because it appeared to them most beneficial in their then present circumstances and situations? We, my countrymen, have the same right to consult and provide for our happiness, which they had to promote theirs. If they had a view to posterity in their contracts, it must have been to advance the felicity of their descendants. If they erred in their expectations and prospects, we can never be condemned for a conduct which they would have recommended had they foreseen our present condition. Men who content themselves with the semblance of truth, and a display of words, talk much of our obligations to Great Britain for protection! Had she a single eye to our advantage? A nation of shopkeepers are very seldom so disinterested. Let us not be so amused with words: the extension of her commerce was her object. When she defended our coasts, she fought for her customers, and convoyed our ships loaded with wealth, which we had acquired for her by our industry. She has treated us as beasts of burden, whom the lordly masters cherish that they may carry a greater load. Let us inquire also against whom she has protected us? Against her own enemies with whom we had no quarrel, or only on her account, and against whom we always readily exerted our wealth and strength when they were required. Were these colonies backward in giving assistance to Great Britain, when they were called upon in 1739, to aid the expedition against Carthagena? They at that time sent three thousand men to join the British army, although the war commenced without their consent. But the last war, 'tis said, was purely American. This is a vulgar error, which, like many others, has gained credit by being confidently repeated. The dispute between the Courts of Great Britain and France related to the limits of Canada and Nova Scotia. The controverted territory was not claimed by any in the colonies, but by the Crown of Great Britain. It was therefore their own quarrel. 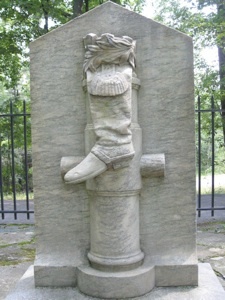 The infringement of a right which England had, by the treaty of Utrecht, of trading in the Indian country of Ohio, was another cause of the war. The French seized large quantities of British manufactures, and took possession of a fort which a company of British merchants and factors had erected for the security of their commerce. The war was therefore waged in defence of lands claimed by the Crown, and for the protection of British property. The French at that time had no quarrel with America: and, as appears by letters sent from their commander-in-chief, to some of the colonies, wished to remain in peace with us. The part therefore which we then took, and the miseries to which we exposed ourselves, ought to be charged to our affection for Britain. These colonies granted more than their proportion to the support of the war. 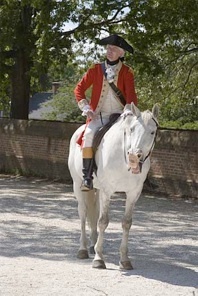 They raised, clothed, and maintained, nearly twenty-five thousand men, and so sensible were the people of England of our great exertions, that a message was annually sent to the House of Commons purporting: "That His Majesty, being highly satisfied of the zeal and vigor with which his faithful subjects in North America had exerted themselves in defence of His Majesty's just rights and possessions, recommended it to the House, to take the same into consideration, and enable him to give them a proper compensation." These are the sentiments of the wisest and most virtuous champions of freedom. Attend to a portion on this subject from a book in our defence, written, I had almost said by the pen of inspiration. "I lay no stress," says he, "on charters - they derive their rights from a higher source. It is inconsistent with common-sense to imagine that any people would ever think of settling in a distant country, on any such condition, or that the people from whom they withdrew should forever be masters of their property, and have power to subject them to any modes of government they pleased. And had there been express stipulations to this purpose in all the charters of the colonies, they would, in my opinion, be no more bound by them than if it had been stipulated with them that they should go naked, or expose themselves to the incursions of wolves and tigers." Such are the opinions of every virtuous and enlightened patriot in Great Britain. Their petition to Heaven is - "That there may be one free country left upon earth, to which they may fly, when venality, luxury, and vice, shall have completed the ruin of liberty there." From the day on which an accommodation takes place between England and America, on any other terms than as independent States, I shall date the ruin of this country. A politic minister will study to lull us into security, by granting us the full extent of our petitions. The warm sunshine of influence would melt down the virtue, which the violence of the storm rendered more firm and unyielding. In a state of tranquillity, wealth and luxury, our descendants would forget the arts of war, and the noble activity and zeal which made their ancestors invincible. Every art of corruption would be employed to loosen the bond of union which renders our assistance formidable. When the spirit of liberty which now animates our hearts and gives success to our arms is extinct, our numbers will accelerate our ruin, and render us easier victims to tyranny. Ye abandoned minions of an infatuated ministry, if peradventure any should yet remain among us! - remember that a Warren and Montgomery are numbered among the dead. Contemplate the mangled bodies of our countrymen, and then say, What should be the reward of such sacrifices? Bid us and our posterity bow the knee, supplicate the friendship, and plough, and sow, and reap, to glut the avarice of the men who have let loose on us the dogs of war to riot in our blood, and hunt us from the face of the earth? If we 1ove wealth better than liberty, the tranquillity of servitude, than the animating contest of freedom - go from us in peace. We ask not your counsels or arms. Crouch down and lick the hands which feed you. May your chains set lightly upon you, and may posterity forget that ye were our countrymen. Prejudice, I confess, may warp our judgments. Let us hear the decision of Englishmen on this subject, who cannot be suspected of partiality: "The Americans," say they, "are but little short of half our number. To this number they have grown from a small body of original settlers by a very rapid increase. The probability is that they will go on to increase, and that in fifty or sixty years they will be double our number: and form a mighty empire, consisting of a variety of States, all equal or superior to ourselves in all the arts and accomplishments which give dignity and happiness to human life. In that period will they be still bound to acknowledge that supremacy over them which we now claim? Can there be any person who will assert this, or whose mind does not revolt at the idea of a vast continent, holding all that is valuable to it, at the discretion of a handful of people on the other side the Atlantic? But if at that period this would be unreasonable, what makes it otherwise now? Draw the line if you can. But there is still a greater difficulty. Britain is now, I will suppose, the seat of liberty and virtue, and its legislature consists of a body of able and independent men, who govern with wisdom and justice. The time may come when all will be reversed: when its excellent constitution of government will be subverted: when pressed by debts and taxes, it will be greedy to draw to itself an increase of revenue from every distant province, in order to ease its own burdens: when the influence of the Crown, strengthened by luxury and an universal profligacy of manners, will have tainted every heart, broken down every fence of liberty, and rendered us a nation of tame and contented vassals: when a general election will be nothing but a general auction of boroughs, and when the Parliament, the grand council of the nation, and once the faithful guardian of the state, and a terror to evil ministers, will be degenerated into a body of sycophants, dependent and venal, always ready to confirm any measures, and little more than a public court for registering royal edicts. Such, it is possible, may, some time or other, be the state of Great Britain. What will at that period be the duty of the colonies? Will they be still bound to unconditional submission? Must they always continue an appendage to our Government, and follow it implicitly through every change that can happen to it? Wretched condition indeed, of millions of freemen as good as ourselves! Will you say that we now govern equitably, and that there is no danger of such revolution? Would to God that this were true. But will you not always say the same? Who shall judge whether we govern equitably or not? Can you give the colonies any security that such a period will never come?" No! The period, countrymen, is already come. The calamities were at our door. The rod of oppression was raised over us. We were roused from our slumbers, and may we never sink into repose until we can convey a clear and undisputed inheritance to our posterity. This day we are called upon to give a glorious example of what the wisest and best of men were rejoiced to view, only in speculation. This day presents the world with the most august spectacle that its annals ever unfolded. Millions of freemen, deliberately and voluntarily forming themselves into a society for their common defence and common happiness. Immortal spirits of Hampden, Locke, and Sidney! will it not add to your benevolent joys to behold your posterity rising to the dignity of men, and evincing to the world the reality and expediency of your systems, and in the actual enjoyments of that equal liberty, which you were happy, when on earth, in delineating and recommending to mankind! Some who would persuade us that they have tender feelings for future generations, while they are insensible to the happiness of the present, are perpetually foreboding a train of dissensions under our popular system. Such men's reasoning amounts to this - give up all that is valuable to Great Britain, and then you will have no inducements to quarrel among yourselves; or suffer yourselves to be chained down by your enemies, that you may not be able to fight with your friends. The time at which this attempt on our liberties was made, when we were ripened into maturity, had acquired a knowledge of war, and were free from the incursions of enemies in this country, the gradual advances of our oppressors enabling us to prepare for our defence, the unusual fertility of our lands and clemency of the seasons, the success which at first attended our feeble arms, producing unanimity among our friends and reducing our internal foes to acquiescence - these are all strong and palpable marks and assurances, that Providence is yet gracious unto Zion, that it will turn away the captivity of Jacob. Thus by the beneficence of Providence, we shall behold our empire arising, founded on justice and the voluntary consent of the people, and giving full scope to the exercise of those faculties and rights which most ennoble our species. Besides the advantages of liberty and the most equal constitution, heaven has given us a country with every variety of climate and soil, pouring forth in abundance whatever is necessary for the support, comfort, and strength of a nation. Within our own borders we possess all the means of sustenance, defence, and commerce; at the same time, these advantages are so distributed among the different States of this continent, as if nature had in view to proclaim to us - Be united among yourselves, and you will want nothing from the rest of the world. The more northern States most amply supply us with every necessary, and many of the luxuries of life - with iron, timber, and masts for ships of commerce or of war: with flax for the manufacture of linen, and seed either for oil or exportation. The want of our naval stores has already increased the price of these articles to a great height, especially in Britain. Without our lumber, it will be impossible for those haughty islanders to convey the products of the West Indies to their own ports - for a while they may with difficulty effect it, but without our assistance, their resources soon must fail. Indeed, the West India Islands appear as the necessary appendages to this our empire. They must owe their support to it, and ere long, I doubt not, some of them will from necessity wish to enjoy the benefit of our protection. If there is any man so base or so weak as to prefer a dependence on Great Britain to the dignity and happiness of living a member of a free and independent nation - let me tell him that necessity now demands what the generous principle of patriotism should have dictated. We have now no other alternative than independence, or the most ignominious and galling servitude. The legions of our enemies thicken on our plains; desolation and death mark their bloody career; whilst the mangled corpses of our countrymen seem to cry out to us as a voice from heaven - "Will you permit our posterity to groan under the galling chains of our murderers? Has our blood been expended in vain? Is the only reward which our constancy, till death, has obtained for our country, that it should be sunk into a deeper and more ignominious vassalage? Recollect who are the men that demand your submission; to whose decrees you are invited to pay obedience! Men who, unmindful of their relation to you as brethren, of your long implicit submission to their laws; of the sacrifice which you and your forefathers made of your natural advantages for commerce to their avarice - formed a deliberate plan to wrest from you the small pittance of property which they had permitted you to acquire. Remember that the men who wish to rule over you, are they who, in pursuit of this plan of despotism, annulled the sacred contracts which had been made with your ancestors: conveyed into your cities a mercenary soldiery to compel you to submission by insult and murder - who called your patience, cowardice; your piety, hypocrisy." Countrymen! the men who now invite you to surrender your rights into their hands, are the men who have let loose the merciless savages to riot in the blood of their brethren - who have dared to establish popery triumphant in our land - who have taught treachery to your slaves, and courted them to assassinate your wives and children. These are the men to whom we are exhorted to sacrifice the blessings which Providence holds out to us - the happiness, the dignity of uncontrolled freedom and independence. Our Union is now complete; our constitution composed, established, and approved. You are now the guardians of your own liberties. We may justly address you, as the Decemviri did the Romans, and say - "Nothing that we propose can pass into a law without your consent. Be yourselves, O Americans, the authors of those laws on which your happiness depends." You have now in the field armies sufficient to repel the whole force of your enemies, and their base and mercenary auxiliaries. The hearts of your soldiers beat high with the spirit of freedom - they are animated with the justice of their cause, and while they grasp their swords, can look up to heaven for assistance. Your adversaries are composed of wretches who laugh at the rights of humanity, who turn religion into derision, and would, for higher wages, direct their swords against their leaders or their country. Go on, then, in your generous enterprise, with gratitude to heaven, for past success, and confidence of it in the future. For my own part, I ask no greater blessing than to share with you the common danger and common glory. If I have a wish dearer to my soul, than that my ashes may be mingled with those of a Warren and Montgomery - it is - that these American States may never cease to be free and independent!